Islam Around Us: Twin blasts kill 29 in Lebanese city of Tripoli. 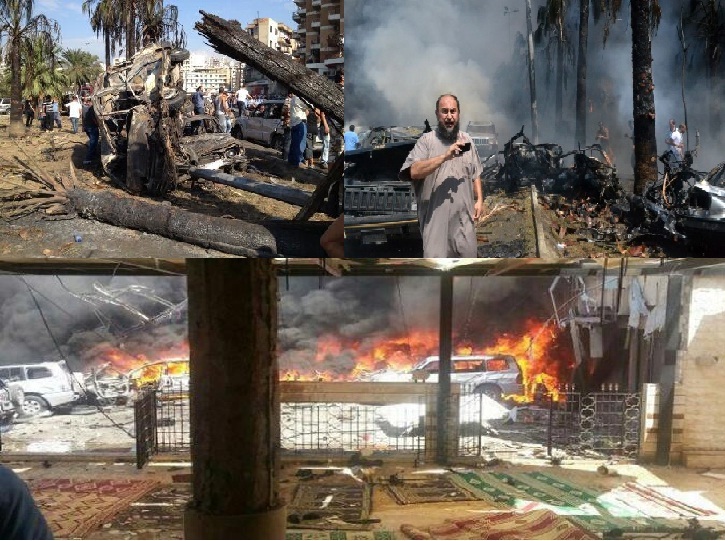 TRIPOLI | Lebanon | 23 Aug 2013 :: Twin car bombs exploded outside mosques in the northern Lebanese city of Tripoli Friday, killing at least 29 people, wounding over 350 and wreaking major destruction in the country’s second largest city, Lebanese Health Ministry officials said. The blasts hit amid soaring tensions in Lebanon as a result of Syria’s civil war, which has sharply polarized the country along sectarian lines and between supporters and opponents of the regime of Syrian President Bashar Assad. It was the second such bombing in just over a week, showing the degree to which the tiny country is being consumed by the raging war next door.